“The world’s deadliest creature, the mosquito, kills nearly 655,000 people every year. While preventing malaria is inexpensive by U.S. standards, it’s out of reach for poor African families who must watch helplessly as their children suffer and die. 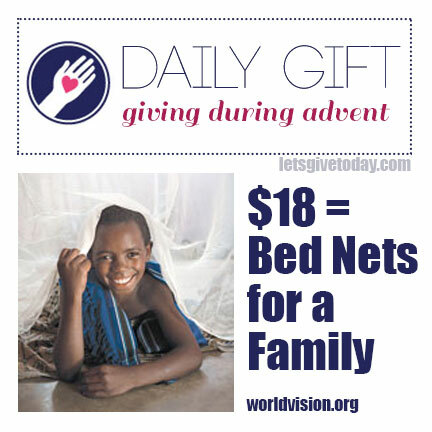 Your gift will provide one of the best ways to protect children from malaria—bed nets—as well as critical education for prevention and control. Advent brings many different traditions. Some people hide an Elf around the house, some have daily readings, some practice daily acts of kindness. Last year, the boys and I practiced giving by delivering poinsettias throughout town, donating clothes, buying new toys & clothes for those in need. Truthfully, we’ll probably do many of those same things this year. But the year, we’re going to Give More. 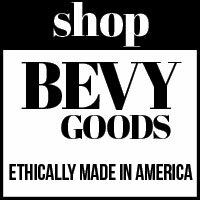 In lieu of creating Holiday Gift Guides for Non-Profits, my family and I are donating to a non-profit. 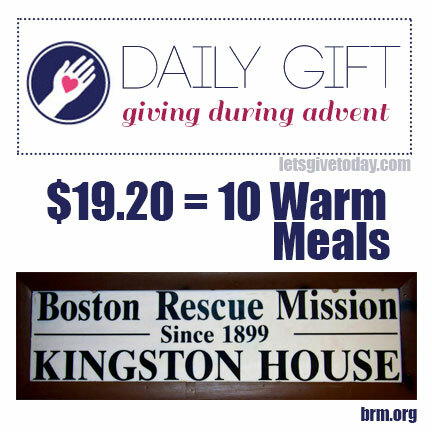 Every day of advent. The more I give, the less I want. 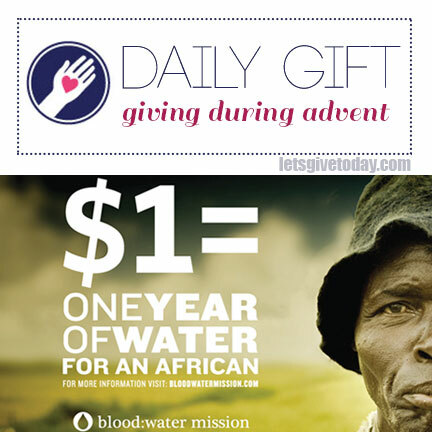 Blood:Water Mission is a grassroots organization that empowers communities to work together against the HIV/AIDS and water crises in Africa. Friends: One Dollar. Less than the cup of Starbucks will give someone in Africa a year of clean water. You can donate any amount ($5 minimum) through the secure Blood:Water Donation Page.